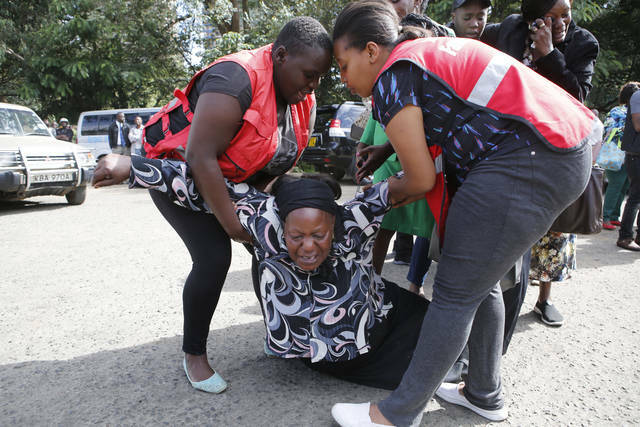 NAIROBI, Kenya (AP) — All the gunmen who staged a deadly attack on a luxury hotel and shopping complex in Nairobi were killed, Kenya’s president said Wednesday, declaring an end to the brazen, overnight siege that underscored the ability of al-Shabab extremists to strike despite military setbacks. Al-Shabab, which is based in Somalia and allied with al-Qaida, claimed responsibility. 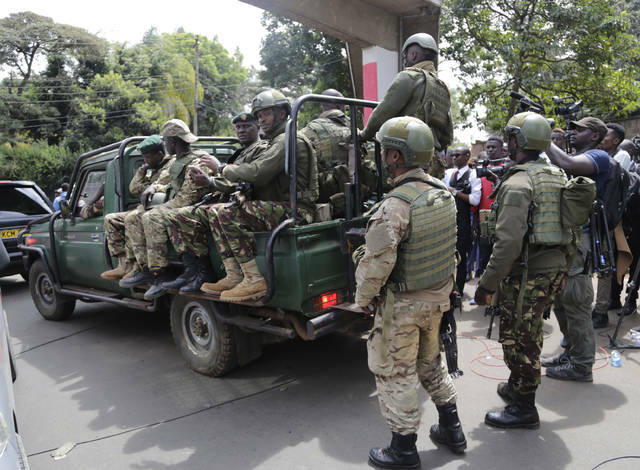 The Islamic extremist group also carried out the 2013 attack at Nairobi’s nearby Westgate Mall that killed 67 people, and an assault on Kenya’s Garissa University in 2015 that claimed 147 lives, mostly students. 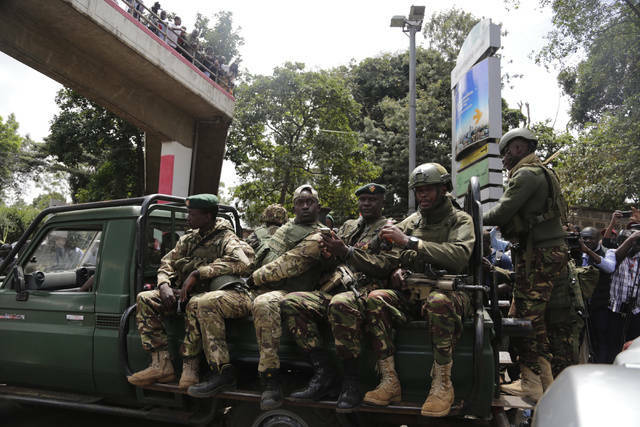 While U.S. air strikes and African Union forces have degraded the group’s ability to operate, it is still capable of carrying out spectacular attacks in retaliation for the Kenyan military’s campaign against it in Somalia. Most of the victims were believed to be Kenyan, though an American and a Briton were among the dead. San Francisco-based I-DEV International confirmed that the American was Jason Spindler, the company’s co-founder and managing director. Jason Spindler’s father, Joseph, said his son worked with international companies to form business partnerships in Kenya that would boost local economies. JOHANNESBURG (AP) — It began with cars exploding and several armed young men, wrapped in ammunition belts, sauntering onto the scene. It was declared over nearly 20 hours later with at least 14 people killed, 700 people evacuated and the Islamic extremist attackers “eliminated.” Overnight, scores of frightened people hid in washrooms, offices and elsewhere as gunfire popped and security forces hunted the gunmen. Here’s a rough timeline of what occurred in the deadly attack on a luxury hotel complex in Kenya’s capital. Disclosure statement: Bert Spector does not work for, consult, own shares in or receive funding from any company or organization that would benefit from this article, and has disclosed no relevant affiliations beyond their academic appointment. That’s how President Donald Trump framed his demand for funds to build a “border wall” and end the partial government shutdown. That declaration was met with counter-claims that the crisis at the border was indeed real – but one of Trump’s own making. I’m currently completing a book on the use and abuse of the word “crisis” by political and business leaders to create a sense of urgency. While it is true that Trump and his administration are especially reckless in their deployment of the term crisis, they are far from alone in doing so. You’ve undoubtedly heard nongovernmental organizations talk about humanitarian crises in countries like Yemen and Syria and pundits warn about a crisis in liberal democracy. And as the Earth warms, the polar caps melt and storms regularly devastate communities around the globe, human beings are said to face an environmental crisis that threatens our very existence. In the world of business, crises arise from declining stock prices, bankruptcy and malfeasance on the part of CEOs. Some of the instances of crisis claims may seem quite legitimate to you. Others may strike you as dubious. What they all have in common is this: None of them are real things. Political leaders frequently use these claims to advance a particular agenda. For example, in 1964, President Lyndon B. Johnson used the supposed urgency of an attack on an American battleship to rally support for escalating the war in Vietnam. George W. Bush claimed a similar rationale for ousting Saddam Hussein from Iraq in 2001. In every case, leaders reference real things in their claims: an attack on a battleship, possession of nuclear weapons, the number of immigrants entering a country, the observable effects of climate change or the arrest of a CEO. These are the cold, hard facts that can and should be subjected to objective fact-checking – even if doing so isn’t always easy. But what transforms objective description of an event into a crisis is that the leader adds an “uh-oh” element. That’s where the urgency of crisis comes into play. This element of a claim is not objective at all. It is a subjective reading of the world around us, a reading filtered – sometimes unconsciously and other times quite deliberately – through our own biases and previously established opinions. It’s that subjective uh-oh element that is intended by the leader to convince followers that the social unit – the community, the business or even the nation – faces an urgent situation. All claims of crisis contain both objective descriptions of events and subjective explanations of why they should be understood as a crisis. Observers can and should evaluate the objective element of a claim according to their accuracy. The statement is, as it stands, accurate. But it relies on the suppression of key facts. For example, figures show that most of the crimes committed by “illegal aliens” are immigration-related offenses rather than violent attacks. The number of illegal immigrants entering the United States is declining. And the immigrant community is mostly law-abiding. Of course, this is a subjective interpretation of the world. It can no more be thought of as accurate than inaccurate. But that doesn’t mean observers can’t evaluate the subjective element of a claim. To do so, I suggest using the criterion of plausibility. It is an argument that is potentially believable, demanding a conclusion drawn on the basis of well-defined reasoning. Plausibility insists that reliable principles and methods of reasoning are utilized in a transparent and logical process. You may or may not agree with the interpretation, but the path from description to use of the term should be clear. I would suggest that there is no logical progression from the number of illegal immigrants to the assertion of a “humanitarian crisis, a crisis of the heart and a crisis of the soul.” The reasoning relies almost entirely on biased stereotyping. Based on my research, I propose a classification system for all claims of crisis that considers both the accuracy of the objective, descriptive element of a claim and the plausibility of the subjective uh-oh element. Claims of crisis that combine an accurate description with a plausible explanation can be said to be legitimate. Claims that are either inaccurate, implausible or both are not. It is fruitless to engage in a debate as to whether a claim of a “humanitarian crisis,” a “crisis of the soul” or even a business crisis is true or false, right or wrong. By appreciating that a crisis is not a real thing but rather a label applied by a leader to an ambiguous, dynamic world, Americans and others can appreciate the elements that constitute a claim and evaluate it as legitimate or otherwise. After doing that, we can all then begin to determine how to respond.